data cable technologies, inc. (dct) is a telecommunications cabling design and installation firm. We perform voice, data, CATV, CCTV, audio/visual, and access control design and installation services for businesses in commercial, manufacturing, medical, industrial, and government environments. Located in Virginia Beach, VA, our service area is, primarily, the southeastern Virginia	cities of Virginia Beach, Norfolk, Chesapeake, Suffolk, Hampton, Newport News, Williamsburg, and the cities, towns, and business communities around them. data cable technologies, inc was incorporated in Virginia, January 31, 1990 and is a Virginia Class A Telecommunications Cabling Contractor and Virginia Department of Criminal Justice Services Private Security Services and Locksmith Services provider. Our business has evolved from the early days of, primarily, coaxial cable-based Local Area Network cabling into commercial telecommunications cable design and installation. We install copper and fiber optic cable for a wide variety of applications, including voice, data, access control, cable TV, audio/visual, and security. We have developed, over the years, a passion for network-attached systems. We are currently installing Kantech IP-based Access Control systems, Axis IP cameras, and exacq IP camera recording servers. We are a group of people from a wide variety of backgrounds. We have an immense amount of talent and dedication to our profession. Each of us takes great pride in providing our customers with the best available solution to achieve each project's successful conclusion. Our projects range from day-to-day moves, adds, and changes, to design and installation of telecommunications cabling systems with thousands of work area outlets, and data center cabling systems. The RCDD, which stands for Registered Communications Distribution Designer, is a professional credential earned from BISCI®. Aside from the owners, our team has project managers with 20+ years experience working with us. Like the owners, the Project Managers' experience is broad in scope, from minor day-to-day maintenance of small office cable plants, to projects that include high rise buildings and multi-building campuses. The remainder of our installation team has been with us for over a year. These technicians have gained reasonably extensive experience installing and maintaining a wide variety of intra-building and inter-building telecommunications cable systems in commercial, manufacturing, medical, and industrial environments. We have two friends who share our time at the office. Moon Shadow (as you may notice, Gala was keeping an eye on her! Laurel Forks Amazing Grace, whom we call Gracie, is the newest member of our family. She is a beautiful Yellow Labrador Retriever. Gracie is now seven years old. She is extremely sweet, and gentle (though one should watch their fingers when giving her treats!). Gracie came from a friend who breeds Labs and was looking for a good home for her. Richard met her with Gracie's Mom and some dear friends on Saturday, October 11th and had to say yes to bringing her home! Gracie found her new home with Richard and with us. Gracie is the sweetest, most gentle, creature with a tail that is in constant motion! Moon is training her in the ways of the office and making sure she knows that Gala left Moon in charge! Moon Shadow has taken over the office, left completely in charge by Gala. We pushed and prodded Marion to get another puppy. 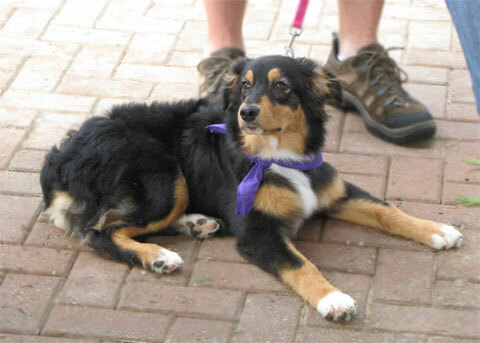 She decided she would like to have an Australian Shepherd. We couldn't be happier she agreed! Searching for breeders led her to one with puppies available in the Smith Mountain Lake area of Virginia. All arrangements made, she drove to the breeder's home, picked up her new baby and drove back home. Moon is now just past two years old and very well adjusted to life in the office. She has lost some of her puppy charm, but her adult charms never fail to intrigue, and / or exasperate us! I know she missed Gala, but Gracie has stepped-in to provide someone for Moon to play with, chase, nip, and herd about the office! She is very sweet and we love having her with us. It is with tremendous sadness that I report that I lost Guardenia Galadriel, Gala, in the early hours this morning. As was the way, these past few months, I awakened early and checked to see if she was still breathing, she was not. I waited until 5:00 a.m. to call Marion, who came right over. If I was Gala’s Dad, Marion was her Mom. Gala was my baby. During her entire life, I don’t think she spent more than 6-7 hours a week alone. If she wasn’t with me, she was with Marion. She went almost everywhere I went, even to the golf course as a puppy. She was the sweetest, most gentle, most hard-headed friend I have ever had. I picked up Gala, originally Bailey at the Coffman household, which was the home of Guardenia Great Pyrenees, in Northern VA at 10 weeks and immediately took her to meet my family in Herndon. She hated being in the car and away from the commotion of her home, with a couple dozen other puppies and many adult Pyrs. She adjusted quickly, though, and found a new family. All of us fell in love with her. After I got her home and all moved in, she came to work with me. She met Marion and Stormy, Bob, James, Jim, Mike, and the rest of the crew. Gala tormented Stormy, endlessly, as puppies are wont to do. They became best friends and had amazing times together, until Stormy succumbed to cancer. I found out, while she was still a puppy, that she and I shared a love of French Bread. Driving home from a visit to my Mom and Dad’s, Mom had bought some French Bread for me from a bakery adjacent to the restaurant where we had lunch, I decided to have some while cruising south on I95. Gala stuck her head between the seats and would not leave me alone. She didn't eat “people-food”, so I doubted she would eat it. I tore a piece and handed it to her. It vanished! We ate the entire loaf before Williamsburg. French Bread became a favorite treat for her, the rest of her life. If there was French Bread, Gala made sure she got some. As she got older, she also discovered my Mom's talent for baking, especially Mom's bread. Mom always made special rolls for every visit Gala made to her house. Thunder came into our lives and tormented Gala. Justice. They, too, became best friends and played together, walked together, ate together, and slept together for years, until cancer took Thunder from us. Finally, in the last year of her life, another puppy! Moon Shadow came along, after Gala was mostly too old to play with her, the way Moon so desperately wished she would. Still, they became great friends and bed-mates, sharing treats, though Moon often stole what Gala didn’t eat quickly enough. In the last six months of Gala’s life, I fed her steak for every meal. Somewhere along the way, probably the result of a steak she stole off the table, she developed a love for steak. Feeding her steak assured that she would eat and she ate well to her last day. Moon discovered that she, too, loved steak and reaped the benefit from many evening visits to the house and sleep-overs. Gala loved being outside and had more fun playing in the leaves, in the fall, and snow, in the winter, than most kids I’ve met! 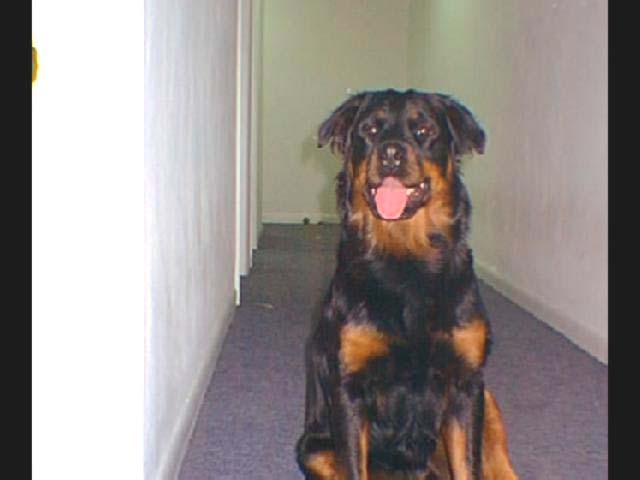 Gala lived 15 years, 3 months, and 12 days. 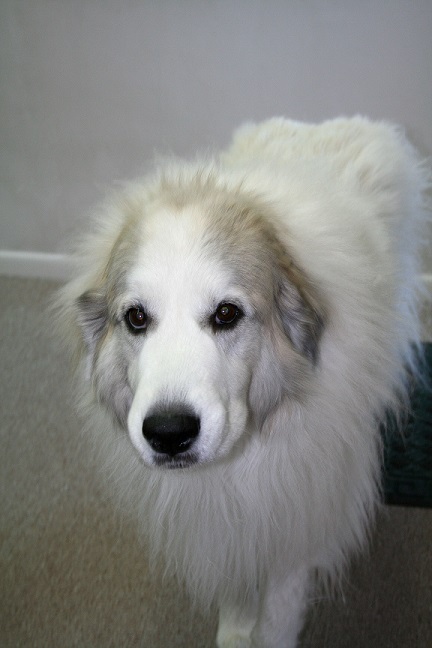 An unbelievably long life for a Great Pyrenees, not nearly long enough for me. I’m glad I had every single minute. The void she leaves with her passing may take longer than her life to fill. In Memoriam July 5, 2013 - data cable technologies lost of our friend and companion, Thunderbolt Backus. Thunder came to us from near-certain death after staying too long in a local shelter in March 2005. She was missing quite a few teeth and showing sure signs of the difficult life she had before Marion adopted her. Undeterred by her previous life, Thunder welcomed us, as surely as we welcomed her. She was immediately fun, feisty, and playful. She was always willing to be loved, and to love. If she wasn't getting the attention she wanted, she would gladly let you know. Many mornings, she spent her first minutes at the office running at full speed throughout the office space, playing with Marion, Gala, Richard, Bob, and the crew. Even missing teeth, she loved to play tug and often made new canine friends by inviting them to play with one of her favorite tug toys. Thunder loved meeting other animals and making friends. 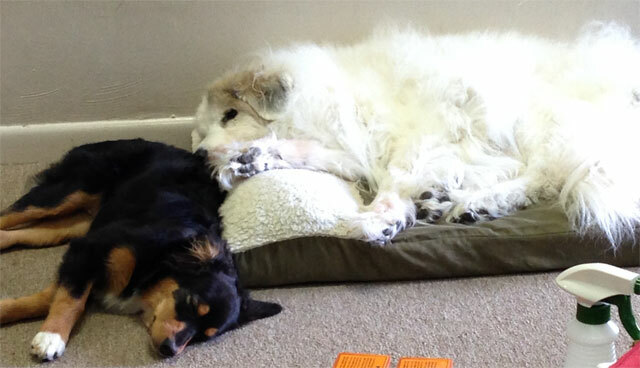 Thunder and Gala spent most of their lives together, including countless sleepovers. They played, or snoozed, the days away. To her last day, they often slept against each other or, at least, beside each other. Thunder never failed to protect us from our friend and longtime mail carrier, Mike, the big mean U.P.S. truck, though she loved the drivers, and low-rumbling motorcycles. Thunder would gladly "notify" us of any visitor to our front door. She was the official office treat rule enforcer. The rule being: if Richard left the office and returned, something you might imagine happened fairly often, Thunder ALWAYS got a treat upon his return. Sometimes, that meant she got treats, even if he just went to get something from his truck out front! 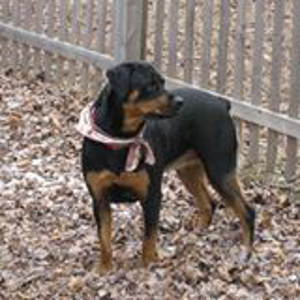 Thunder was Marion's girlfriend, constant companion, closest confidant, and willing travel buddy. She just returned from trips to visit Grandma, Grandpa, and the Backus family in New York. Her final trip was a visit to Liz and Bill in western VA, enjoying the beauty of life outside in the Blue Ridge Mountains and good times with close friends. As sad as we are to say it, the bone cancer she was diagnosed with some months back finally managed to make her life too painful and the fight utterly futile. Because Marion and Thunder found each other, Thunder had an amazing life filled with fun and playtime, friends and family, and every bit of love any of us could want. We loved her tremendously and will miss her, at least that much. 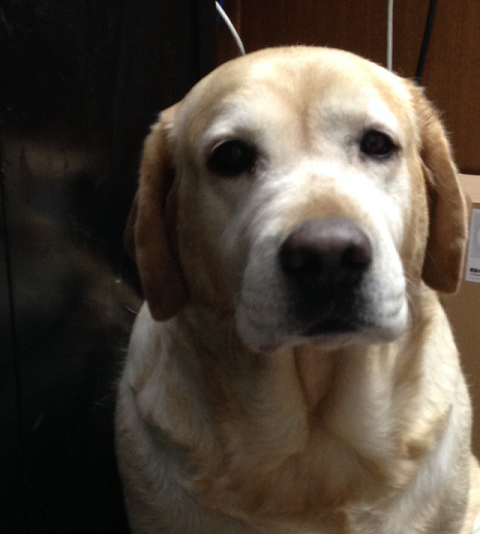 data cable technologies, inc. lost of our friend, companion and official company greeter, Storm Cloud. Stormy graced our office, played with us, tolerated us, entertained us, helped raise Gala and taught her how to run the office, deterred the uninvited (and occasionally the invited), and protected us from those who failed to threaten and those who dared to knock, for nearly 12 years. She will always remain in our hearts and thoughts as fondest memories. Some of the things we do, have done, and will continue to do, though they really don't appear in our Products & Services, is the installation of Sound Masking Systems and the installation of Distributed Antenna Systems (DAS). We have been installing both sound masking and DAS in a number of facilities for quite a few years, and it makes sense to broaden our offerings to our customers! dct is continuing to look at product lines in access control, though we have grown extremely comfortable with the Kantech product line and will continue to deploy it. The ACT product line did not pan out the way we expected it would and we have given up of pursuing further use of that product. Effective immediately, data cable technologies, inc. will no longer be installing any analog cameras, or recorders, nor will we provide services, except for basic maintenance and support, to any existing customer analog systems. Our experience with analog has been horrendous. There is no quality to the images, nor in the manufacture of analog cameras and we refuse to waste another minute of our time working with products that provide little, or no, value to our customers. data cable technologies, inc. is pursuing an access control technology product line to replace our Paxton offerings. We have had the absolute pleasure of meeting with Ireland's Access Control Technology Ltd. (ACT) Executive Chairman, Shay Moran, and Managing Director, David Tymlin, during a recent visit to the U.S. The ACT product line and software are exactly the type of products we would proudly install and we look forward to the introduction of ACT to the U.S. market! data cable technologies, inc. is pleased to announce that we are a Superior Essex®Certified Designer and Installer for PerformaLink® and Campus Warranty Programs. These programs cover copper and fiber optic network cabling. For the past fifteen years we have installed Ortronics connectivity and BerkTek cabling. The partnership between Ortronics and BerkTek provided considerable value to our customers and considerable comfort to us. Our industry has undergone a major re-alignment between cable and connectivity manufacturers, since 1 April, 2013. Ortronics and BerkTek are no longer partners in connectivity / cabling solutions. Ortronics has established a new partnership solution with cable manufacturer, Superior Essex. The new program nCompass® provides the same level of support and commitment that we had with the Ortronics / BerkTek relationship and adds access to products which were not available through the prior arrangement. We look forward to the new partnership and the broader opportunities it affords. We will begin transitioning our customers to equivalent Superior Essex cabling and discontinue the use of BerkTek cabling for our installations. We assure all of our customers, this process will be seamless and will have no adverse effects on the quality of the cabling systems we install! We have extensive experience designing and installing copper and fiber optic cabling. Our primary focus has been voice and network cable installation in commercial office spaces, manufacturing facilities, medical facilities, and industrial sites. We are well-versed in cable systems for LAN applications from 10Mbps Ethernet through 40/100G Ethernet, telephone system cabling for analog, digital, and network-based systems. We have installed aerial and underground outside plant backbone copper and fiber optic cable. Ortronics® jacks, patch panels, cords, and fiber optic components; Superior Essex® 10Gain® Cat 6A, DataGain® Cat 6, and Cobra® and Marathon® Cat 5e copper; Superior Essex fiber optic cable, Corning® fiber optic cable, connectors, and components. Rack, cabinet, cable organization, and cable tray components by: Chatsworth Products®, Middle Atlantic Products®, Ortronics®, Cooper B-Line®, Wiremold® and Cablofil®. We have, also, installed Systimax® copper and fiber optic cable and components. 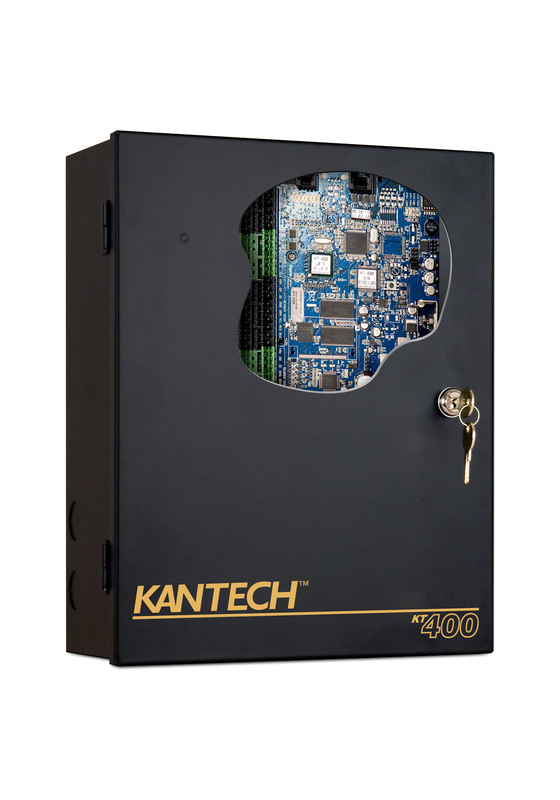 We are currently installing Kantech® Access Control Systems for IP-based access control.. Kantech has proven to be a solid, reliable, and full-featured Access Control offering. The systems can be managed on the local network, or remotely, and offer mobile device applications. Richard, Bob, and Marion have been designing cabling for telecommunications systems for over twenty years. The planning and design process is more structured, now, thanks to the efforts of organizations such as, TIA® and BISCI®. We recognized the need to be part of the formal design process, so Richard earned the BICSI RCDD credential to provide professional design services to our customers. We use AutoCAD® to provide telecommunications design drawings. DCT originally obtained our Department of Criminal Justice Services (DCJS) license to provide security camera installations. Our main focus continues to be the design and installation of IP-based systems, either cameras or camera servers. Please see our News tab for information about analog cameras, as we have discontinued support for this outdated technology. We have worked in the IP world for many years and are extremely pleased with the inevitable transition from analog CCTV systems to IP CCTV systems, improved storage with H.264 encoding, web-based storage and streaming of IP CCTV cameras, and IP-based video storage servers and recorders. We have become particularly fond of Axis Communications® cameras and we are an Axis Authorized Partner. We are, also, fond of exacq Technologies® servers and software. Products from both of these companies are manufactured to exacting standards and provide tremendous options to accomplish a superior installation. We are extremely excited to be providing IP-based Access Control Systems. We are currently installing one networked Access Control system, Kantech®. Kantech Access Control Systems add the functionality of being network configurable, network accessible, and user-manageable. Integration with camera recording and web / mobile app control are important features we expect from access control and these features are available in Kantech systems. We obtained our Locksmith license to enable us to provide turn-key Access Control system installations and have found that we thoroughly enjoy the challenges and rewards of providing our customers with an access control installation that they can manage and monitor. © 2018 data cable technologies, inc.